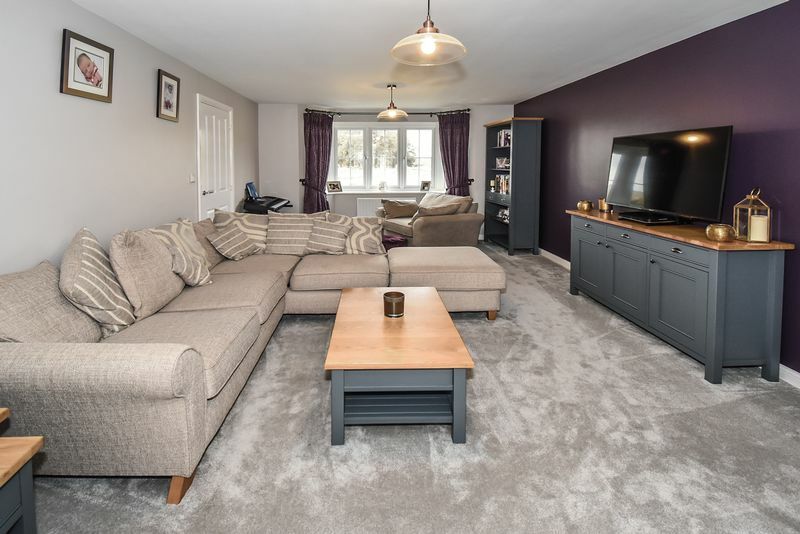 Briefly the property comprises: central reception hall; utility WC; sitting room; study; living/ dining/ kitchen; first floor landing; 5 bedrooms; master en-suite; family bathroom; side driveway parking; detached garage; front and rear gardens. 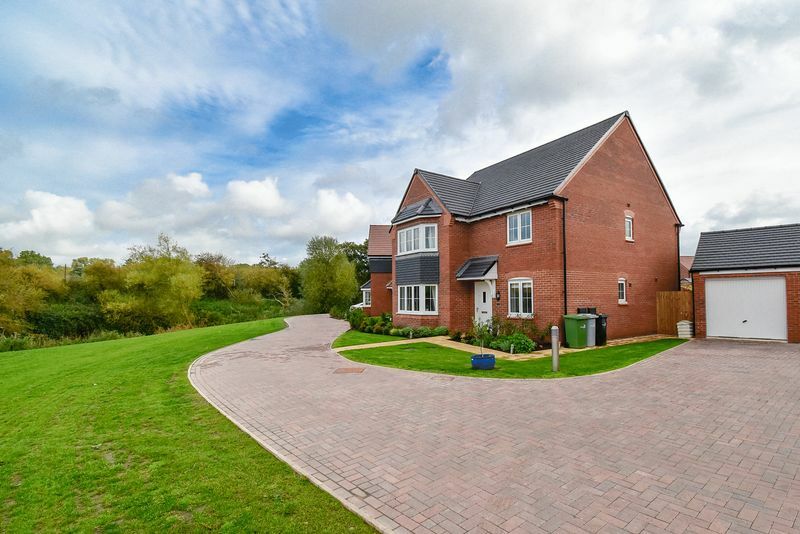 A stunning executive family home boasting a fabulous specification and around 1587sq ft of versatile and beautiful space. The property enjoys a privileged position with reaching views over open greens and beyond, so appealing and unusual for modern estate living. 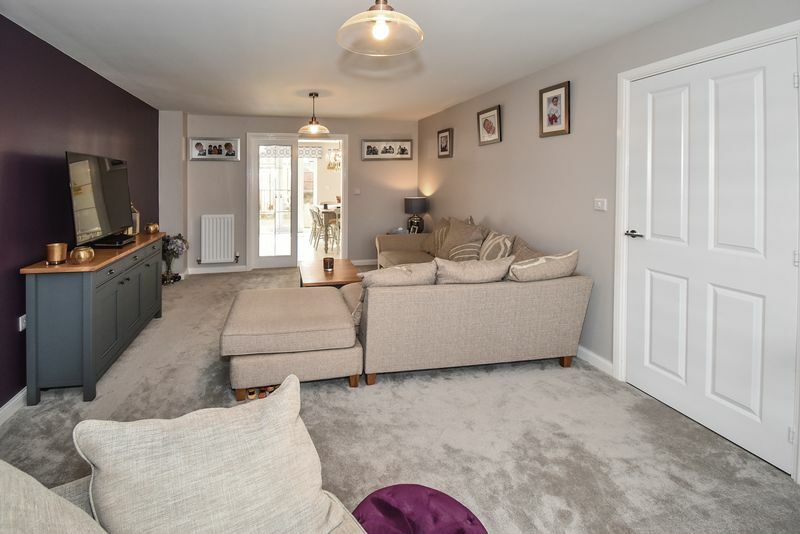 This ideal family home will be equally at home performing for busy day to day family living, or for entertaining with friends and family. The home offers beautiful spaces with a stunning quality kitchen and bathroom suites you will be proud of. The ground floor celebrates the luxury of space with a 19' x 12'6 lounge which links via glazed doors to an outstanding 26' x 11'10 rear living dining kitchen. 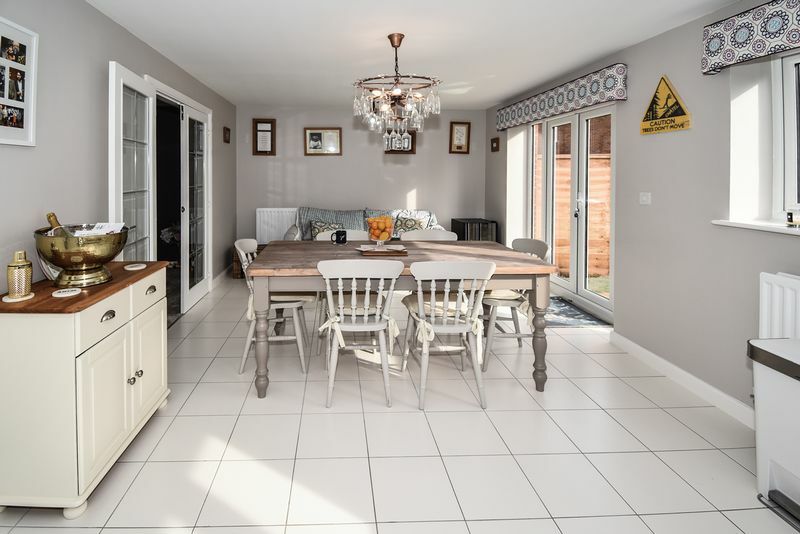 The rear living dining kitchen is well lit by 2 windows and feature external French doors. The sitting room and kitchen enjoy great connectivity. This encourages you to enjoy these dominating and pleasing spaces, which will no doubt boost your day to day enjoyment of the home. 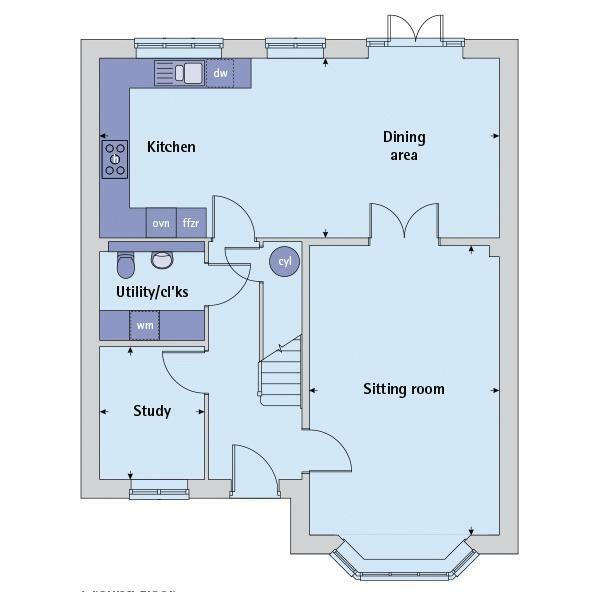 A deep reception hall links to all the ground floor rooms including a study and utility WC. The utility WC is ideal for washing machine noise reduction, as it is likely that you will want to spend much of your time in the living kitchen. 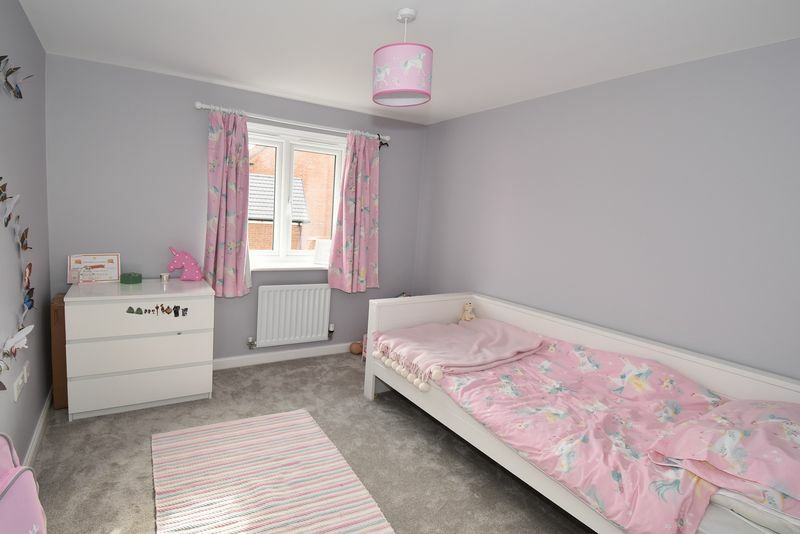 Bearing in mind that there are 5 bedrooms, you may wish to utilise the study as a snug or play room. 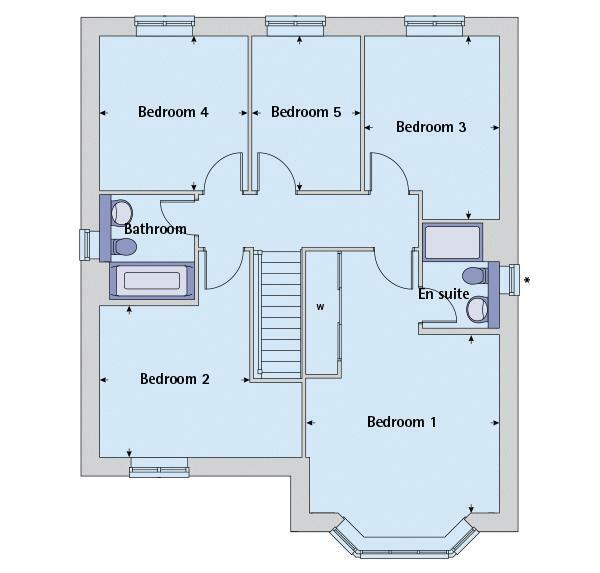 The first floor comprises: a centrally positioned landing which leads to all bedrooms and to the bathroom. 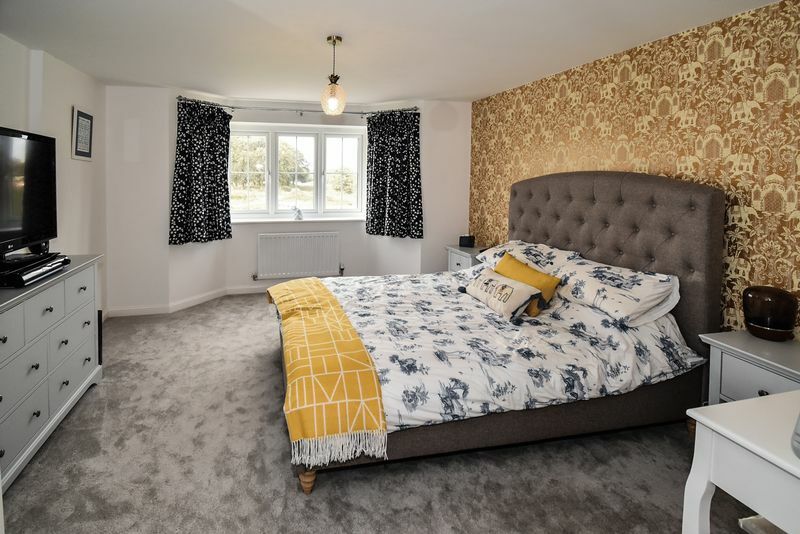 The master bedroom mirrors a similar footprint to the large lounge and incorporates a triple built in wardrobe and a stunning en-suite with a large shower. 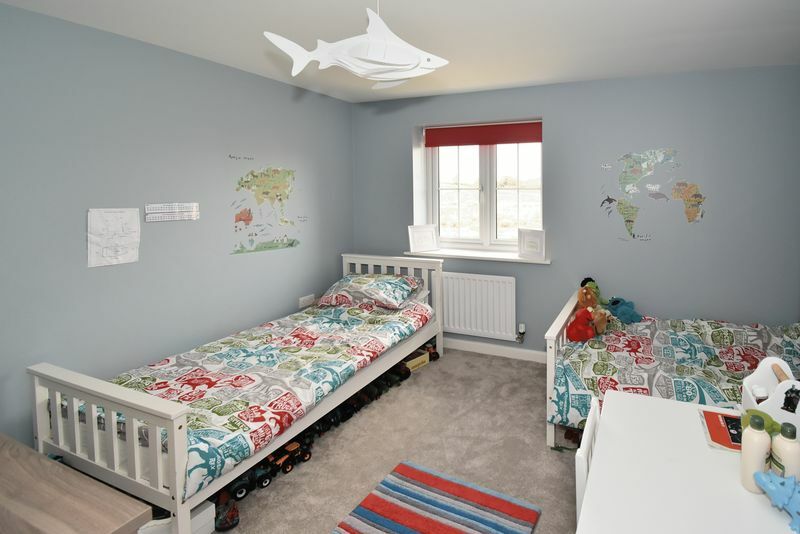 Bedrooms 2,3 & 4 are well balanced, which is ideal for children as they can each enjoy similar sized rooms. bedroom 5 is by no means a 'box room'. 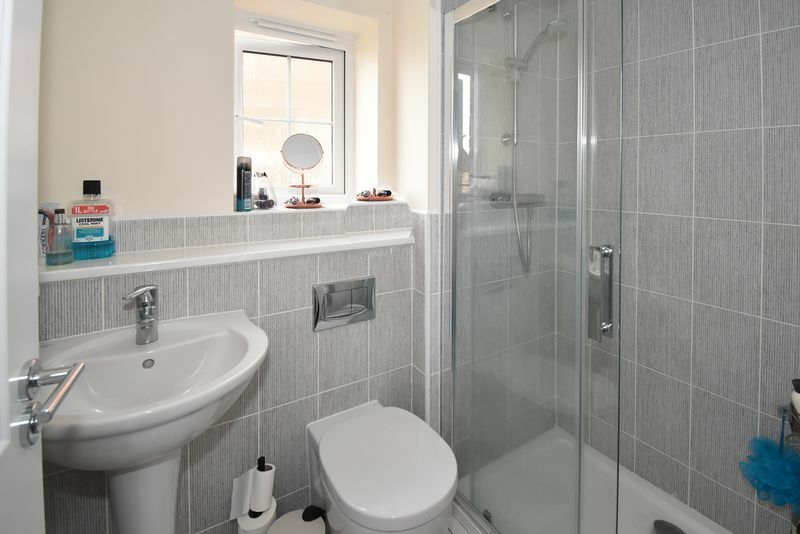 The family bathroom completes the first floor accommodation. Externally the front and right side are open together with lawns and a driveway terminating at the single detached brick garage at the rear. The rear garden is enclosed and laid to lawn with patios. Composite style external door with polished chrome door furniture. Attractive spindle staircase to the first floor with stripped oak rail and newel cap. Flowing tiled floor running through to the kitchen. Central heating radiator. 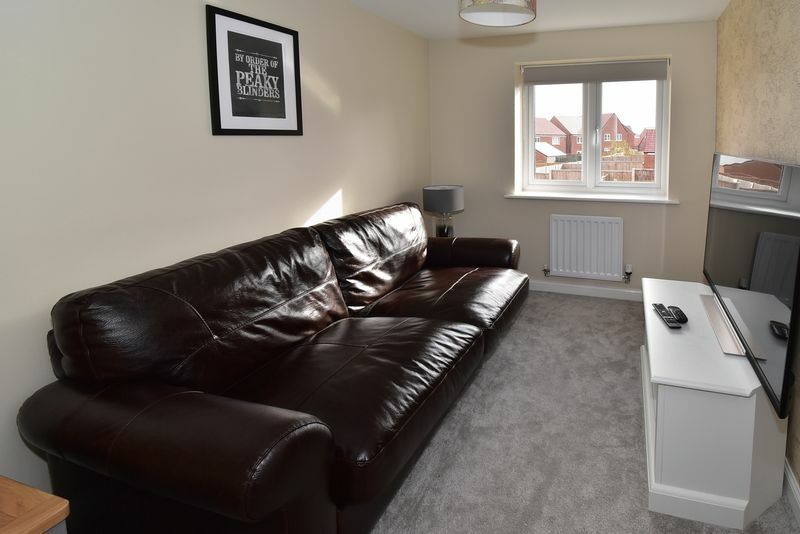 Fantastic sized lounge, long and wide, with a feature PVC double glazed bay window with pleasant reaching views. Glazed internal French doors to the living kitchen. Two central heating radiators. An outstanding space, this room is on everyone's wish lists and its easy to see why. Spanning the full width of the property there's plenty of space for a dining suite and sofa seating. 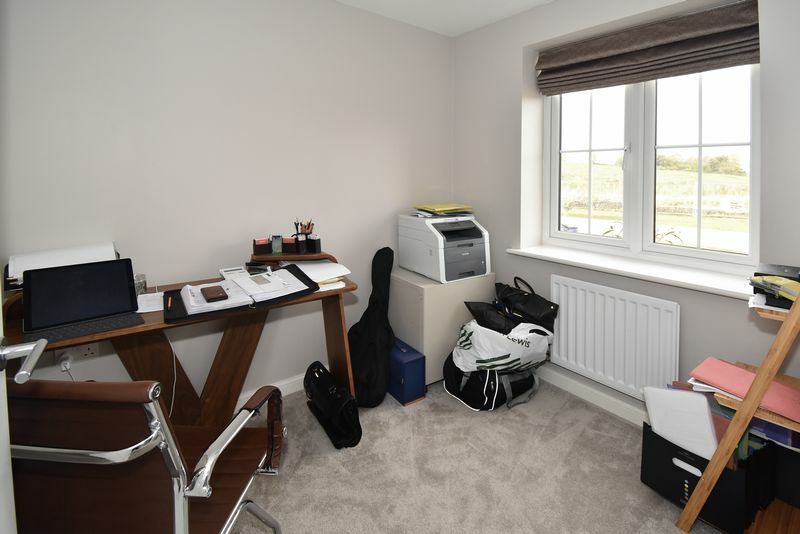 Naturally well lit the room is equipped with two PVC double glazed windows and external French doors. 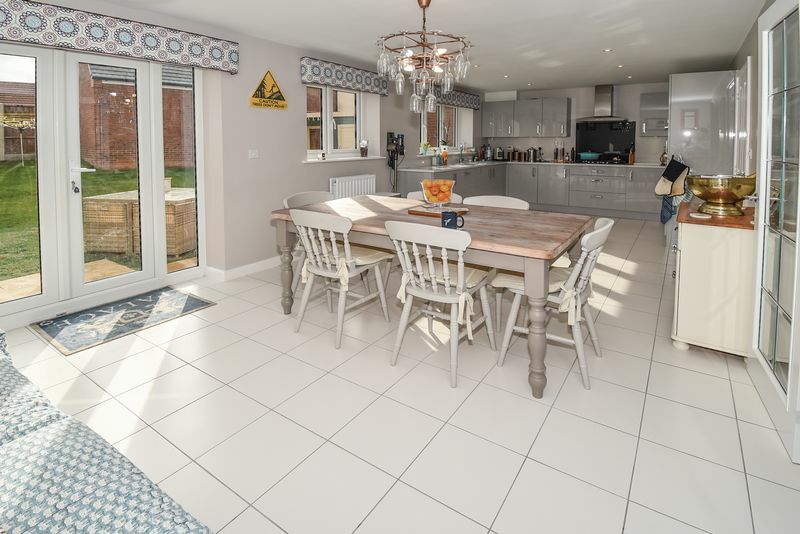 The flooring comprises flowing modern floor tiles which compliment the kitchen quartz nicely. 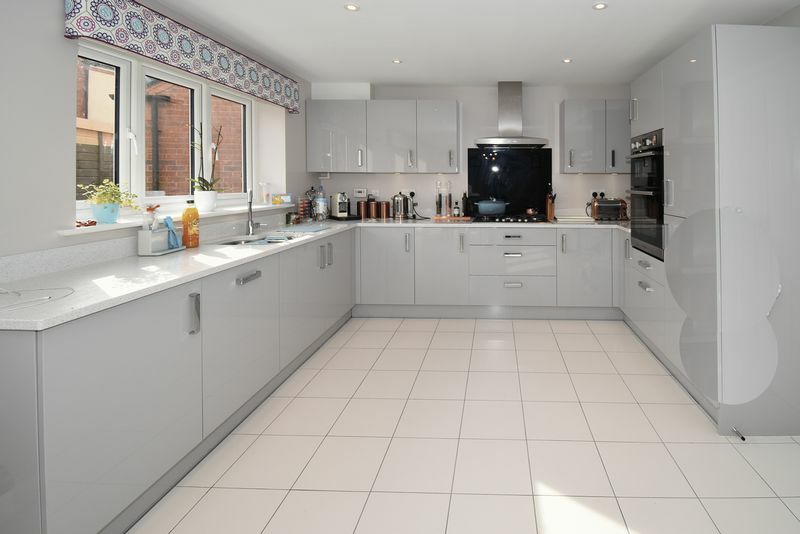 The kitchen is super stylish, finished in grey gloss, with beautiful solid quartz preparation surfaces. 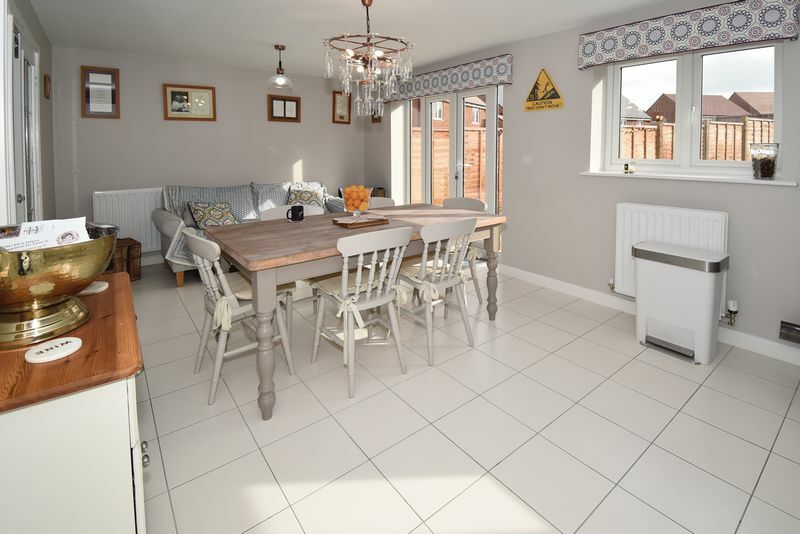 Appliances include: 5 ring gas hob with glass splash back and wide canopy fan above; double oven; fridge freezer; dishwasher. Integrated Franke sink unit with polished chrome mono block mixer tap. Recessed ceiling down lighting over the kitchen area and pendant lighting points over the living/ dining area. Central heating radiators. PVC double glazed window. Central heating radiator. Frosted PVC double glazed window to the side aspect. 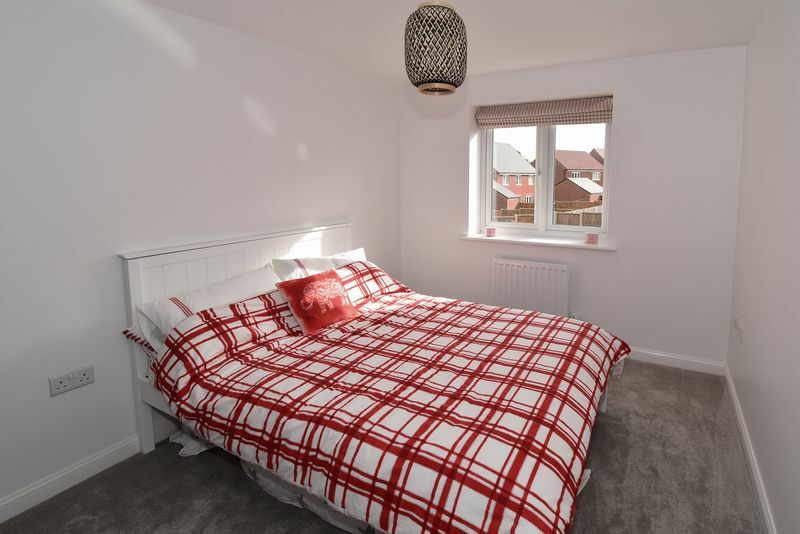 Beautifully presented room with units and quartz matching the kitchen suite. 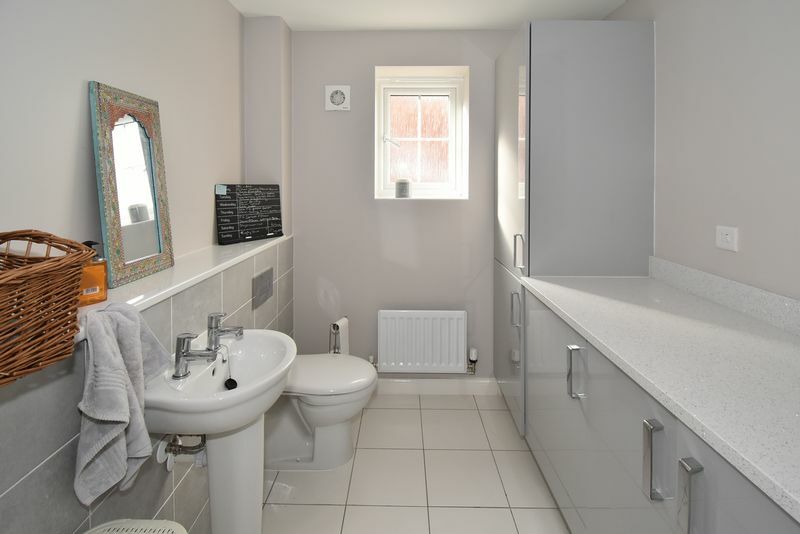 A combined purpose room with storage, WC suite with sink and a built in washing machine. Central heating radiator. Access to the bedrooms and bathroom. Impressive and spacious master suite, follows a similar footprint to the lounge underneath. 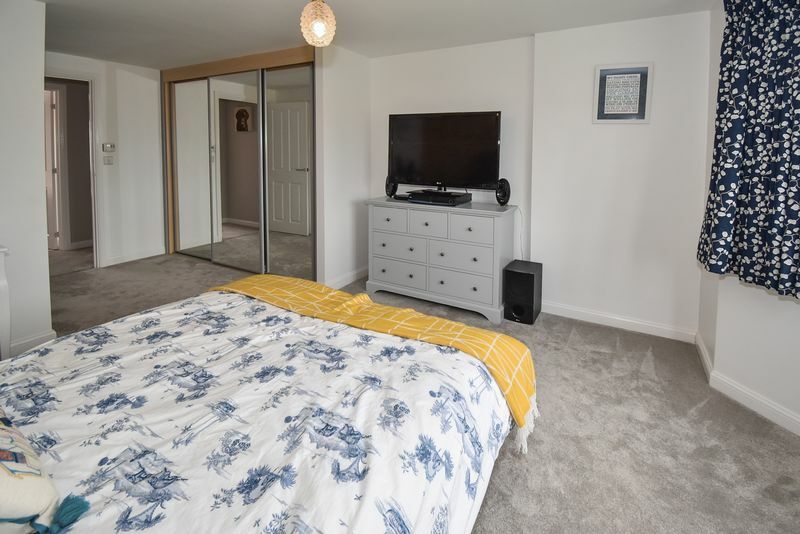 The room comprises a pleasant entry/ dressing area with a triple wardrobe with sliding mirror doors, the main bedroom area is spacious and features the PVC double glazed bay window with lovely views. Frosted PVC double glazed window. Luxury modern white suite with stone effect tiling. 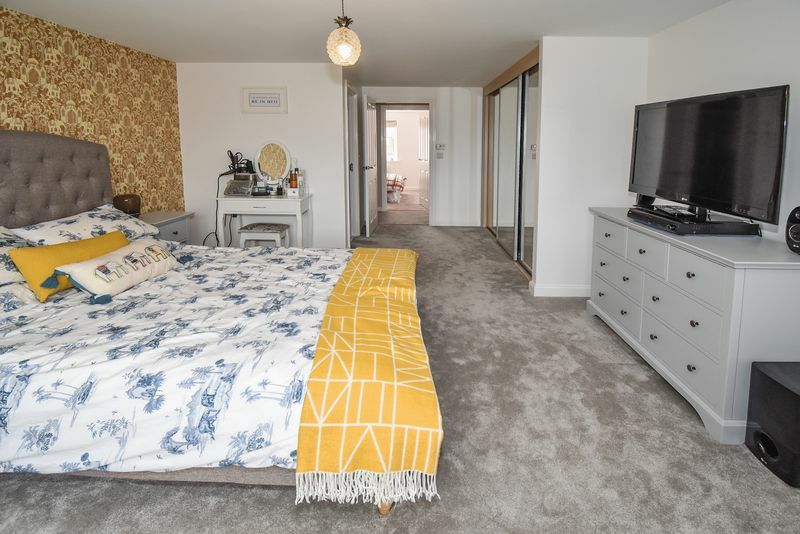 The suite comprises: large shower cubicle with polished chrome mixer shower and glazed door; wall hung semi pedestal sink with polished chrome tap; concealed cistern WC; polished chrome ladder heated towel radiator; recessed ceiling down lighting; fan. Frosted PVC double glazed window. Luxury modern white suite with stone effect tiling. 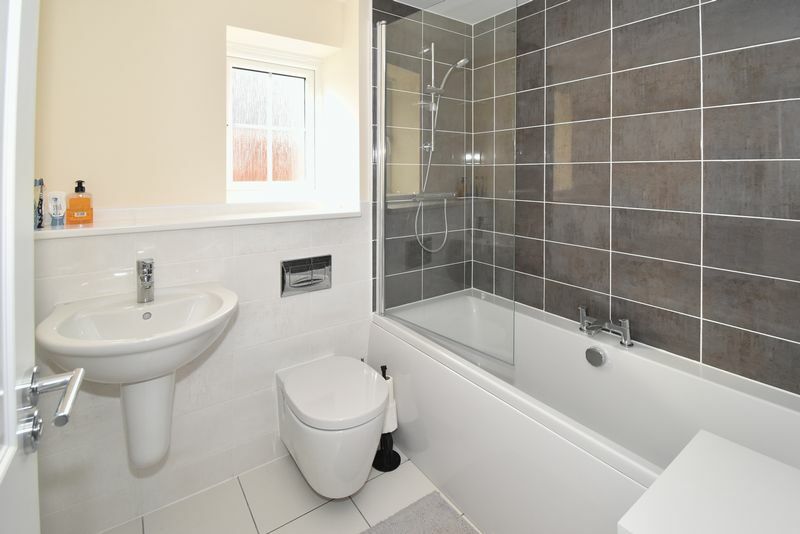 The suite comprises: bath with polished chrome mixer shower and glazed shower screen over; wall hung semi pedestal sink with polished chrome tap; concealed cistern WC; polished chrome ladder heated towel radiator; recessed ceiling down lighting; fan. 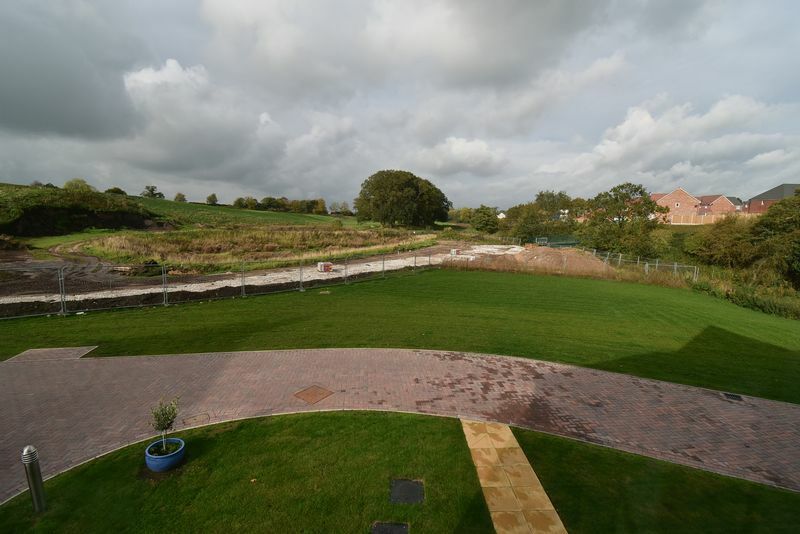 Open lawn with stocked borders and an attractive block paved drive at the front. 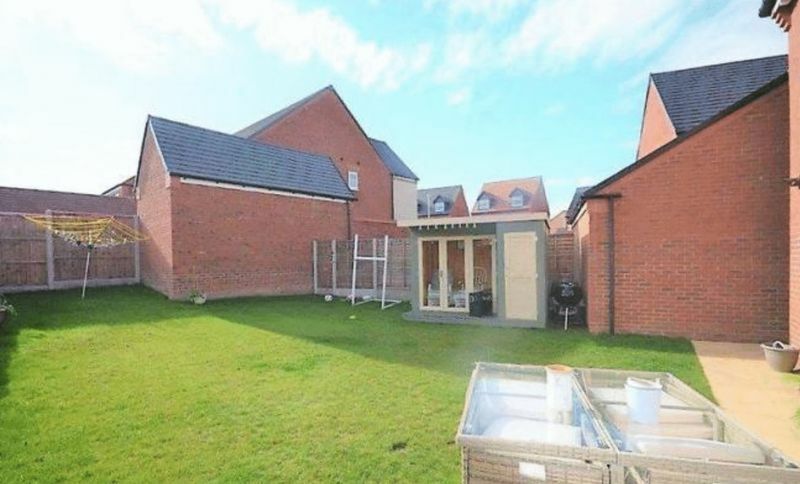 Enclosed rear garden with a lawn and patio. There is a summerhouse which may be available by separate negotiation.